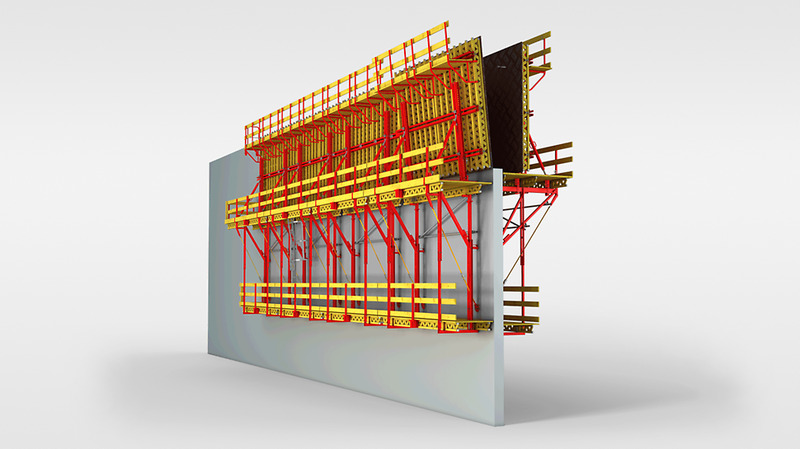 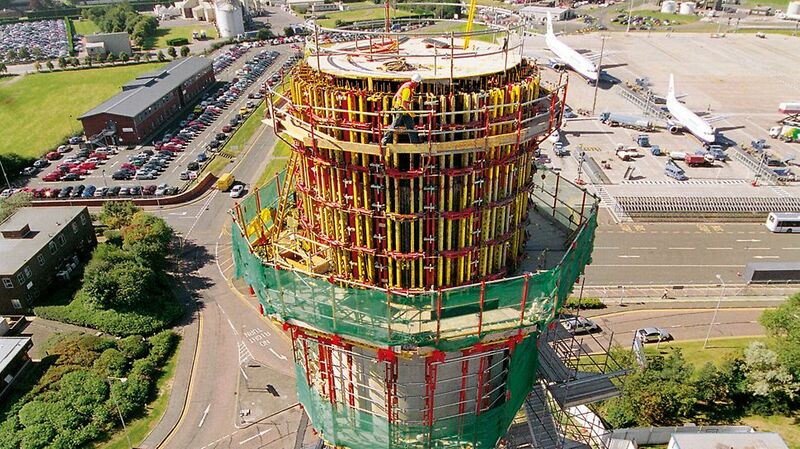 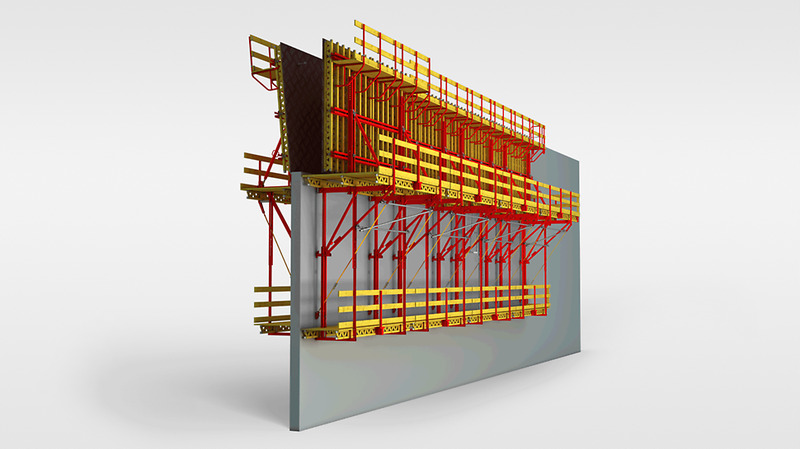 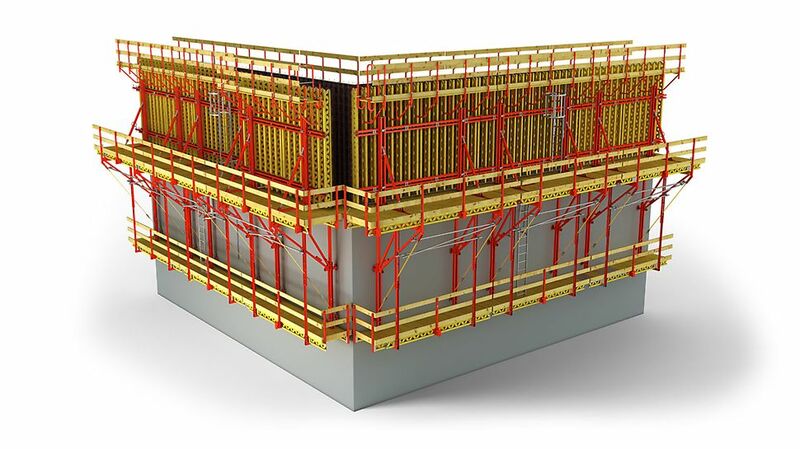 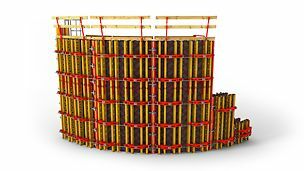 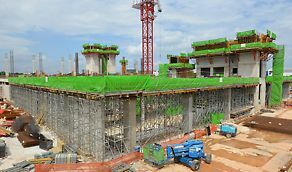 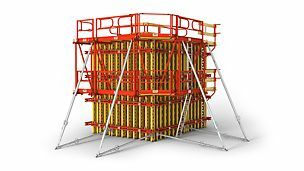 CB Climbing Formwork is normally used for supporting large-sized, anchored wall formwork. 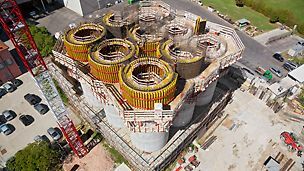 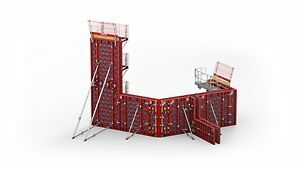 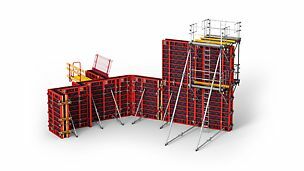 The climbing unit consists of formwork, working platform, brackets with formwork carriage and strongbacks as well as fi nishing platform. 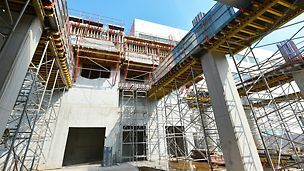 It can be moved very quickly by crane.